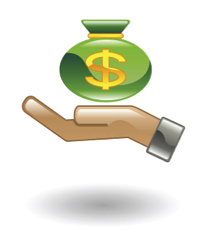 OK-SAFE, Inc. – Proponents of electronic payments systems often claim they are a more “secure” means of transaction. Not so – data breaches (and identify theft) have escalated ever since their adoption. Just imagine what kind of breaches will be forthcoming with the adoption of electronic health records. Want to avoid the next big data breach? Expert says use cash. Customers jarred by news that credit and debit card devices at seven Chicago-area Barnes & Noble stores and 63 nationwide have been tampered with have at least one option for defending themselves, an expert said. “The simple answer is pay cash,” said Jacob Furst, a professor at DePaul University specializing in information security. Barnes & Noble has warned its customers to check for unauthorized transactions and to change their personal identification numbers, or PINs. It didn’t say how many accounts may have been compromised, but it said only one of the “PIN pad” devices was tampered with in each of the compromised locations. Those locations include the Chicago stores at 1130 N. State and 1441 W. Webster, and the suburban locations in Crystal Lake, Deer Park, Deerfield, Evanston and West Dundee. Adam Didech dropped in and bought three books Wednesday at the State Street store, where he’s shopped for more than a year. He said he’s pretty protective of his bank and credit card accounts and monitors them regularly. “I don’t use my credit card for a lot, and so it’s pretty easy for me to get a sense of when something’s gone wrong,” Didech said. End of excerpt. Rest of article here. OK-SAFE, Inc. – Plenty has been said about subsidizing a basketball team in OK. Does anybody really think companies like Chesapeake, Halliburton and Wal-Mart need to be subsidized as well? Conducting the research on the state questions dealing with ad valorem taxation, and corporate exemptions, we spent some time on the Oklahoma Tax Commission (OTC) website. The OTC publishes a series of reports, including one entitled Quality Jobs Incentive Payment Report. This annual reports lists all those specially designated industries/companies that qualify for a taxpayer funded “incentive payment”. Bottom line, your tax dollars are being used to reduce certain companies’ operating costs. Several of the payments go out of state. The 2012 Quality Jobs incentive payments totaled $68,904,917.39. It would be interesting to cross-check those industries that are seeking additional tax exemptions with those industries also receiving Quality Jobs incentive payments. Lots to consider when it comes to tax questions. OK-SAFE, Inc. – After publishing our voter guide on the six state questions on the November ballot, some folks were scratching their heads over some of OK-SAFE’s recommendations, particularly the two questions dealing with the ad valorem taxation – SQ 758 (putting a 3% “cap” on fair cash value of property) and SQ 766 (exempting intangible personal property from ad valorem taxation). We recommended a NO vote on both. The Ad Valorem taxation subject is a relatively new one for us – we normally deal with issues of rights to life, liberty and property; the growth of government, surveillance technology, health care reform, sustainable development, etc. We took a long time analyzing the six state questions, paying particular attention to the context of the proposal, what was being amended, what the intent was, and more importantly, what would be the effect of the proposed state question. We also checked for connections to other national efforts. We consulted with County Assessors and with the Oklahoma Tax Commission on the two tax questions. We did not consult the author of the two tax bills, considering them to be biased, nor with the State Chamber of Commerce, considering them to be biased AND unprincipled. We also kept in mind the nature of this legislature/administration – passing laws that protect life, liberty and property is not their habit. [This is the same legislature that, despite the wishes of the people, has continued the provisions of the Patient Protection and Affordable Care Act (PPACA, aka “ObamaCare”); passed the legislation authorizing the use of Smart Meters; twice killed the pro-life Personhood bill (the real one last year, and the faux one this year); worked to take your DNA upon arrest; made it lawful to confiscate your vehicle for failing to PROVE you have insurance; fought all 2nd amendment bills; and passed the most dangerous water bill we’ve ever seen (HB 3055, the Water for 2060 Act), committing the state of Oklahoma to consuming no more freshwater in the 2060 than was consumed in 2012]. So, after examining the six state questions, and doing due diligence on research, we concluded that 5 of the 6 questions deserve a NO vote, and one a YES vote. The NO Votes are SQ 758, 759, 762, 764, and 766. The one YES vote, with reservations, is SQ 765. For details on the ballot title, ballot language, and our recommended vote, see our prior post here and the front page of our website at www.ok-safe.com. Our printable flyer is available in both locations, listing all these details. One County Assessor read our recommendations on the state questions and took the time to send us an email. Wade Patterson, Garfield County Assessor, was a member of the 21-member committee that studied the tax questions, and was part of the group that submitted language that would have mitigated the negative impact the Civil Court of Appeals decision on the SW Bell Telephone case dealing with intangible property. Their recommended language was not adopted by the legislature. I just wanted to take the time to say what a good job you did on explaining the state questions. You have done some extensive research on the ad valorem topic and have a good grasp on what happens when one group gets special treatment. You hit the nail on the head by expressing the opinion that it will simply transfer the responsibility to pay the bill to everyone that did not receive the same special treatment. 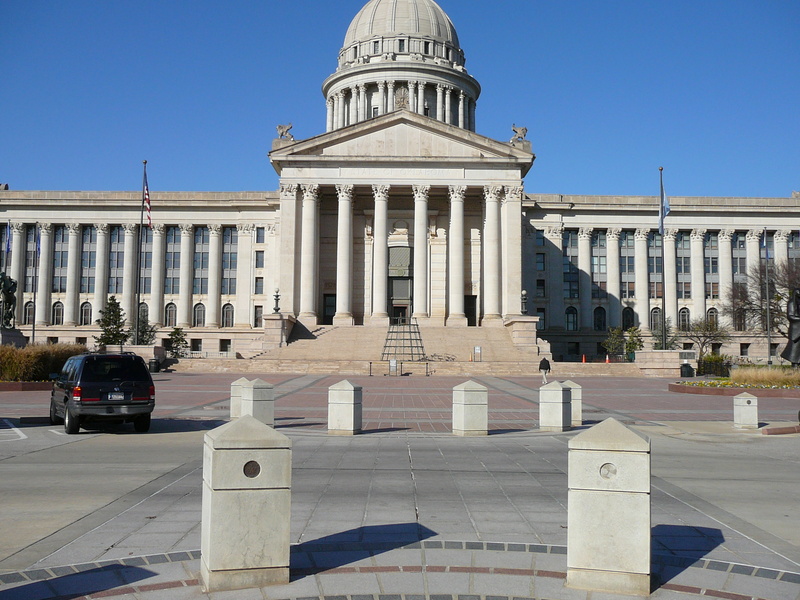 The County Assessors Association of Oklahoma crafted language for Senator Mazzei that would have kept the intangibles at the local level exempt from taxation. We agreed that if the intangibles were not exempted at the local level it could be a new level of taxation on businesses. The public service valuations are much more complicated since intangibles are imbedded in the “unit valuation methodology” currently used by the Oklahoma Tax Commission. It was our suggestion that the legislation be broken into two separate pieces one that would deal with local valuations (assessor) and the other dealing with public service valuations (OTC). The legislation was simple and dealt with local valuation until about a week before the end of the session. However, since a solution could not be reached on the public service valuation methodology, the authors simple put the two back into the same bill, ignoring the fact that the impact was not known. Simply saying that intangibles are exempt will create a huge funding issue for many jurisdictions. The estimates range from $12 million to $68 million, depending on who you ask. As you have stated in your recommendations, this shortfall will simply be spread out among all the property owners. Every school district in my county has a sinking fund therefore everyone in the district will be required to make up the difference for the reduction in the public service valuations. I explain the sinking fund to constituents this way; you simple divide how much you need (bond payments) by how much you are worth (net assessed value) the answer is the millage needed to cover your debt payment. The only people that win are the ones that get a lower value because of the new law. Whether someone is for or against the exemption is not the issue here, the issue is the legislature’s lack of understanding and unwillingness to be problem solvers. Simply passing the buck is poor leadership at best! Once again, let me say well done on the explanations of the very complicated issue. Please let me know if I can be of assistance in the future.